Daily Zohar #172 – Toddler’s prophecy, Crazy? Toddlers and mentally disturbed are closer to prophecy than other ‘normal’ people because they are less connected to the ‘gravity’ of this world. They don’t have the burden of work in this world and therefore can easily connect higher and see what other people can’t. When a child starts talking he begins to lose his ability to see in the spiritual realm. The Zohar says that kids start talking when their tongue can taste bread. We should listen to those toddlers; they may have a personal message for us. The Mentally ‘different’ people have less connection to the material world. They are mostly in their own world and mind and see more in the spiritual than the physical. 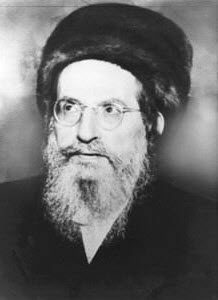 A wise Tzadik, meaning a tzadik that reaches the level of Chokmah can connect to the light of creation and can see beyond time and space. That puts him on a higher level than a prophet that receives messages from the supernal. A wise tzadik can see the future all the time. How can we have better dreams with true messages? Sleep is a rest for the soul and the body. The body can get rest while awake but the ultimate rest happens when Soul and body rest at night time. When we sleep, the soul leaves the body and goes to a resting place in the spiritual dimension. The soul then has the opportunity to look back at the host and go over the daily work, the good and the bad. Dreams are the story of what went on with the soul above. Sometimes in addition to the daily processing, the soul receives messages about the future, giving her better guidance to do the spiritual work. As a preparation for the night sleep, a person should be clean and relaxed. It is very important to relax the body and it can be done using slow paced deep breathing and muscle relaxation while in bed. Preparing the body helps it release the soul to go on to its nightly trips. Scanning a Zohar text will prepare the soul and give it a spiritual boost and elevation to a higher level in the spiritual dimension. When the body is not relaxed the souls can not elevate higher (restless sleep) and stays in the lower levels where negative entities roam. A relaxed body does not ‘produce’ energy for them to enjoy and they let the soul pass easily up where the process is easy and beneficent for the soul. The higher level our soul reaches, the more satisfied we get from the night sleep. The dreams that come to people when the soul is higher have more truth in them.